2 Face. Face 1, digital time in three dials. Stop Watch, and power levels for watch and cell, switch for Dark Mode. 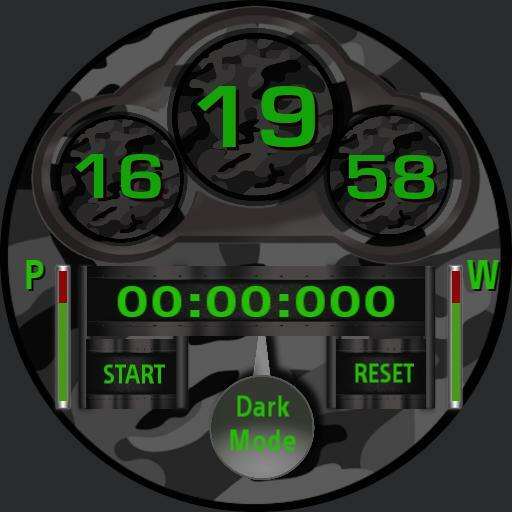 Face 2, Dark Mode, with digital time and date, short day, day number, short month, location with longitude and latitude figures, switch for Dark Mode. Dim on Face 1, digital time only.